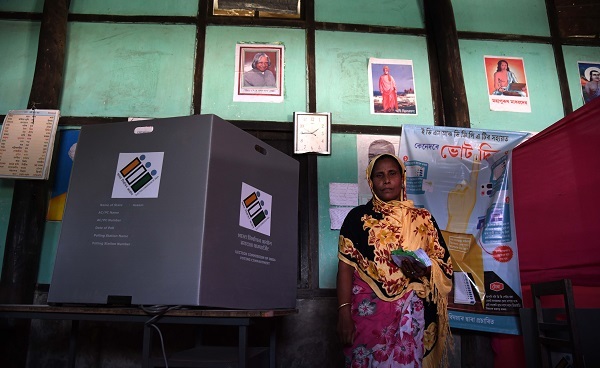 An Indian woman leaves after casting her vote during India's general election in Amoni village, some 150 kms from Guwahati, the capital city of India's northeastern state of Assam on April 11, 2019 (Photo: BIJU BORO/AFP/Getty Images). 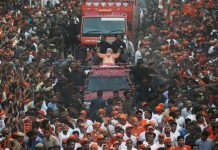 INDIA’S election watchdog on today (15) banned two outspoken politicians from campaigning in the country’s national vote for making provocative speeches which it said could stir communal unrest. The measures came after the Supreme Court called on the election commission to get tough on hate speech during the world’s biggest election, which started last week and runs through to May 19. Mayawati, a leader for low-caste Dalits, was banned from campaigning for 48 hours for calling on Muslims to vote in a bloc against prime minister Narendra Modi’s Bharatiya Janata Party (BJP). Yogi Adityanath, BJP chief minister of India’s most populous state Uttar Pradesh, was sidelined for three days for his response to Mayawati. 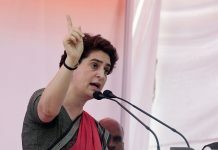 BJP MP Sakshi Maharaj caused controversy last week by saying he was a “saint” who would put a “curse” anyone who votes against him while another BJP contender, Maneka Gandhi, said Muslims should vote for her or their future requests could be shunned if she wins. The election commission often accused of being ineffective has been flooded with complaints since campaigning started in March, and the Supreme Court told it to “act very promptly” on potential violations. “We can’t de-recognise them (parties) or disqualify candidates,” the counsel representing the commission at the hearing on Monday (15) said.